← Did You Know that You’re an Answer to Prayer? I grew up in the church. 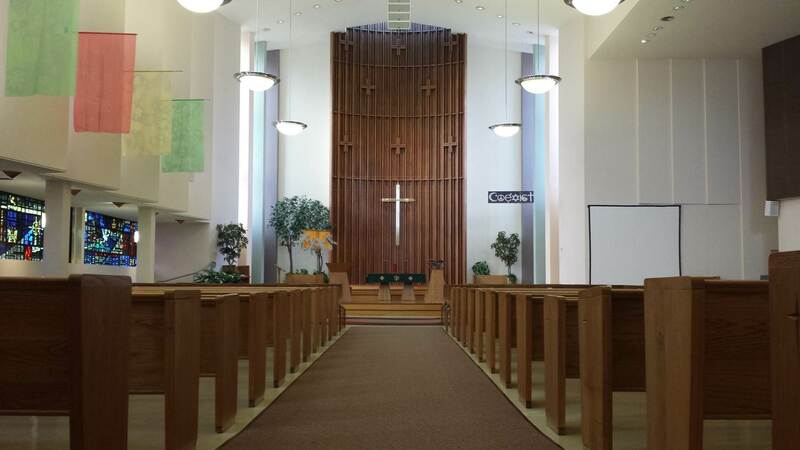 Each week my parents took me to Sunday School and there I worshiped in the same building where my grandmother first took my mother to church. But I didn’t know Christ. Bible teaching wasn’t the forte of our church, and I needed reasons to believe. One of the traits God inserted into my personality when He made me was a ruthless need to be intellectually honest. So I absolutely refused to believe anything that wasn’t rooted in reality. My dad, on the other hand, was raised Roman Catholic with a terrible fear of hell which he tried to soothe insisting that a loving God could never send anybody to hell. But I didn’t buy it. I’d read the Bible on my own and knew that the most loving Person who ever lived was Jesus, and He issued warning after warning about the fires of hell. So who do I believe? My dad or Jesus? Of course, I knew John 3:16 where God the Father promises eternal life and forgiveness of sins to anyone who believes in His Son. But that was my problem. I didn’t believe! So week after week I sat in that sanctuary praying for faith without any apparent answer to my prayers. Not coincidentally, that same afternoon a fellow student began to witness to me, explained the Gospel to me more fully, invited me to his small group, and I went. And from that day on, I’ve been a fully-convinced follower of Jesus Christ who in a matter of a few minutes went from not believing in the Bible, the devil, the Resurrection, and the other miracles of Jesus to accepting whatever God says in His Word. I figured if Satan could blind my mind to the truth about Jesus, I’d better not trust my own reasoning powers about anything else either. I have also made it my practice since then to encourage anyone else who is searching to read the Gospel of John because it more than any other book in the Bible makes it clear who Jesus is and how to follow Him with all your heart. A. T. Robertson, the Greek scholar said of John, “It is the most wonderful of all books in the world.” I couldn’t agree more, for this is the means by which I was born again. It is also the book I want to introduce to you in this study because I think it will also be a major encouragement to your faith. Together I want us to: 1) Meet its authors; 2) Appreciate its uniqueness; and 3) Hear its message. Every passage of Scripture has two authors—the Lord Himself, for as 2 Timothy 3:16 assures us, “All Scripture is inspired by God.” And yet, except for the two tablets containing the Ten Commandments which Moses says were written by the very finger of God, the rest of the Bible was penned by human authors who, as 2 Peter 1:21 explains, “were carried along by the Holy Spirit,” so that only what God wanted written got written. So if God ensured the reliability of the Bible, why is it helpful to know who the human author was? Two reasons: First, to determine his credibility and whether or not he had the authority to speak for God. In the case of the Old Testament, the test was: Was he recognized as a true prophet? Whereas for the New Testament, he had to an apostle or the associate of an apostle who, like Luke the traveling companion of Paul, wrote under the authority of an apostle. Then why didn’t John simply name himself and remove all doubt? He is mentioned many times in the first three Gospels but he’s never mentioned here. The only John mentioned here is John the Baptist. So why not make it clear who he was? The answer is humility and thankfulness. John didn’t want to detract from the glory of Christ, so he made it all about Jesus and not at all about himself. He also never got over the fact of how much the Lord loved him, so he simply chose to call himself “the disciple Jesus loved.” After all, if you wanted to write a book and give all the glory to Jesus, what better way to do it than remain anonymous and refer to yourself as “the disciple Jesus loved?” Besides, having an apostle’s name affixed to a gospel doesn’t guarantee that it was written by an apostle. The truth is many false gospels were written claiming to be written by an apostle and were not. So it turns out that the testimony of the early church is the most reliable evidence of all. Another reason it’s helpful to know who the author was is to see how the truth he taught changed him. 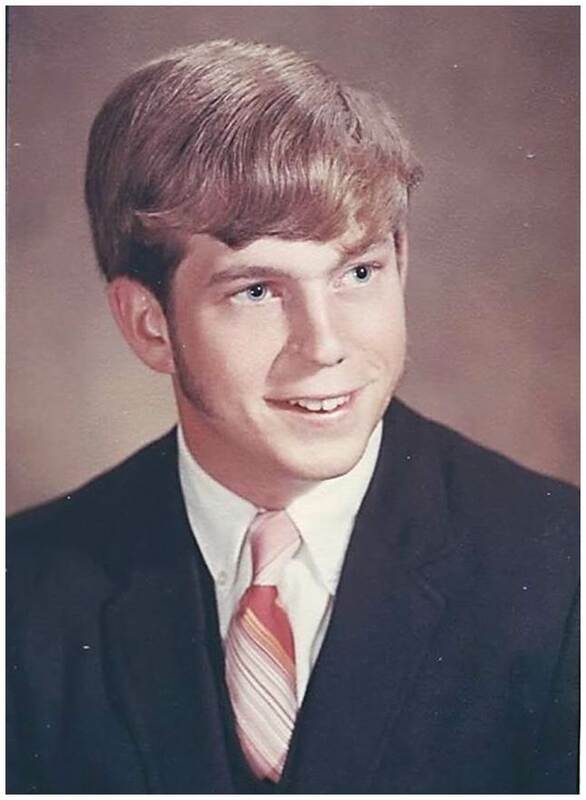 In John’s case, it turned his life upside down. He was, you may remember, the little brother of James and the son of Zebedee and Salome who was, according to John 19:25, the sister of Mary, Jesus’ mother. That means that just like John the Baptist, John the Apostle may have been the cousin of Jesus. Together John and James and Zebedee their father owned a fishing business and were also partners with, according to Luke 5:10, Peter and most likely his brother Andrew also, which means Jesus’ first four disciples were already close friends who had learned to trust one another. All of which was planned by the Father who was providentially preparing a team of followers for His Son. So I say to you never take for granted the work God is doing in the hearts of your children, your nieces, your brothers, your grandchildren just because they are family, for He may be preparing to do a great work the likes of which you’ve never dreamed. By the way, you should also know that Zebedee and sons were doing very well in the fishing business. 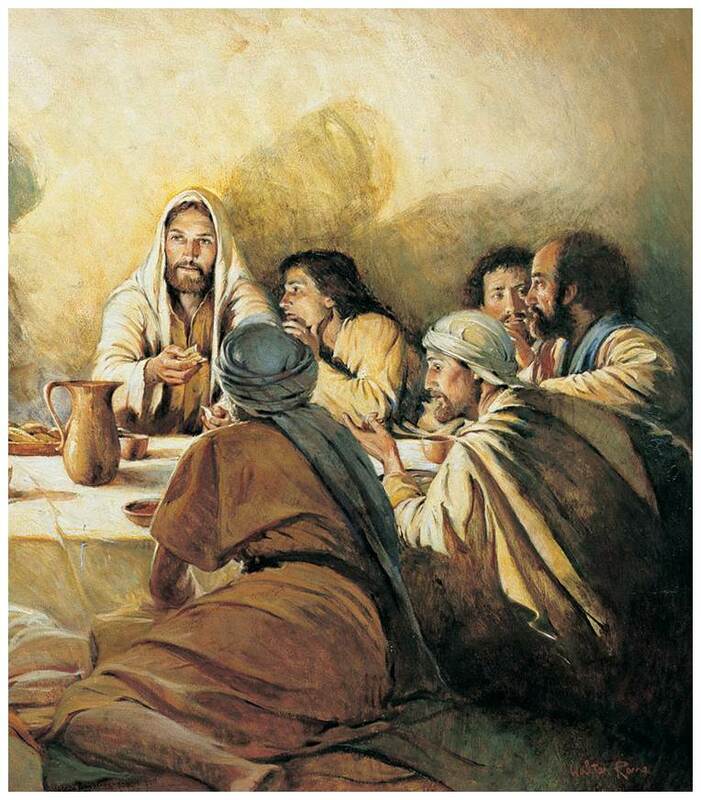 Mark 1:20 says they actually had hired servants who helped them in the work. 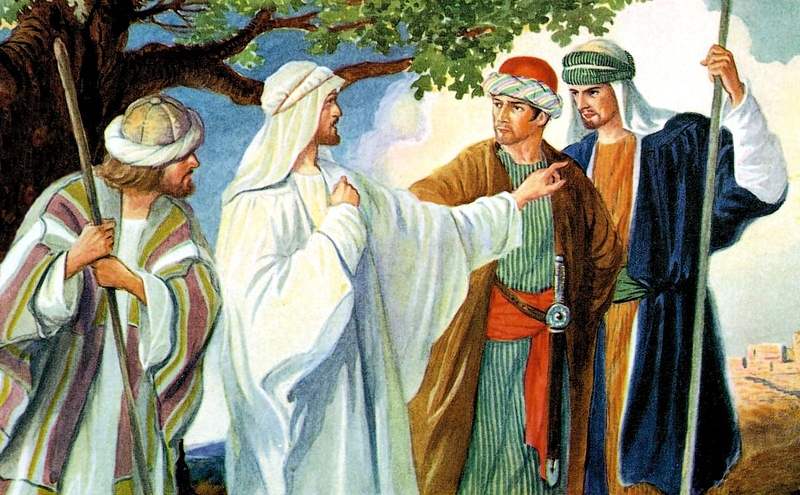 William Barclay the historian says that’s why John can also later say of himself that he was “known to the high priest” in Jerusalem and allowed to enter his courtyard while Jesus stood trial. 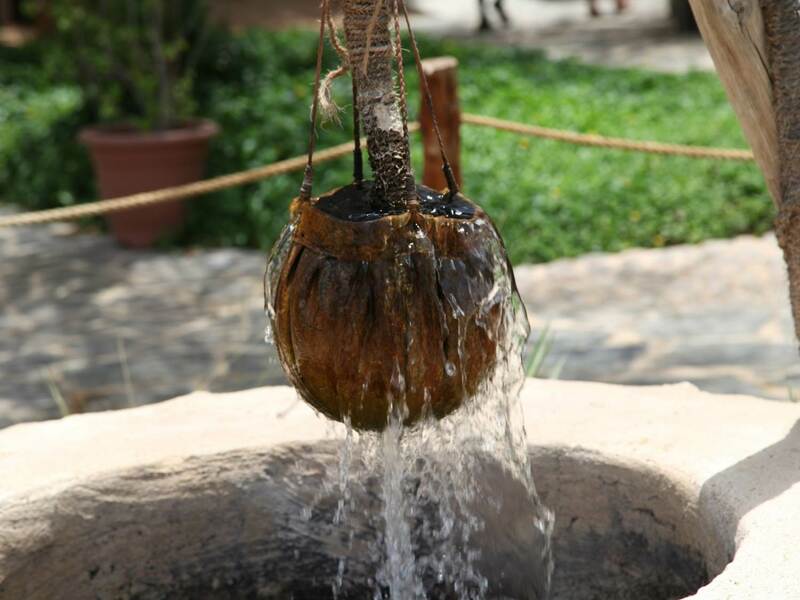 One of the big businesses in Galilee was the salted fish industry. It is therefore likely that John was responsible for delivering fish to the high priest and other wealthy families in Jerusalem. But then Jesus called him and said, “Follow Me, and I will make you a fisher of men.” And without hesitation, John left it all behind to follow Christ. Of course, he was just a diamond in the rough when Jesus found him, like you and I were, with a big ego that had to be ground down and a fiery temper that had to be tamed. 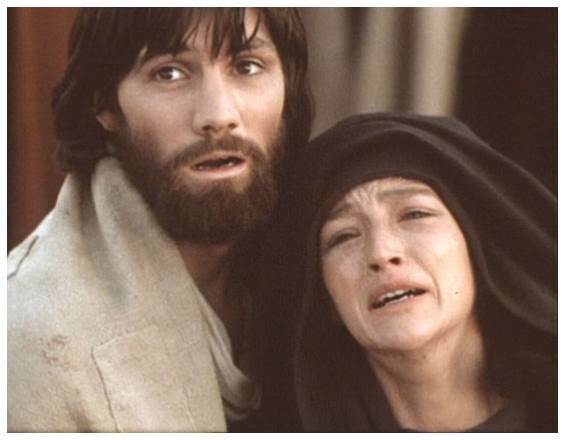 He and his brother James were the two young men, I’d remind you, who ignited an argument among the disciples when they asked their mother Salome, Jesus’ aunt, to take advantage of their family connection and ask Him to let them sit one at His right hand and the other at His left hand when He came into His kingdom. 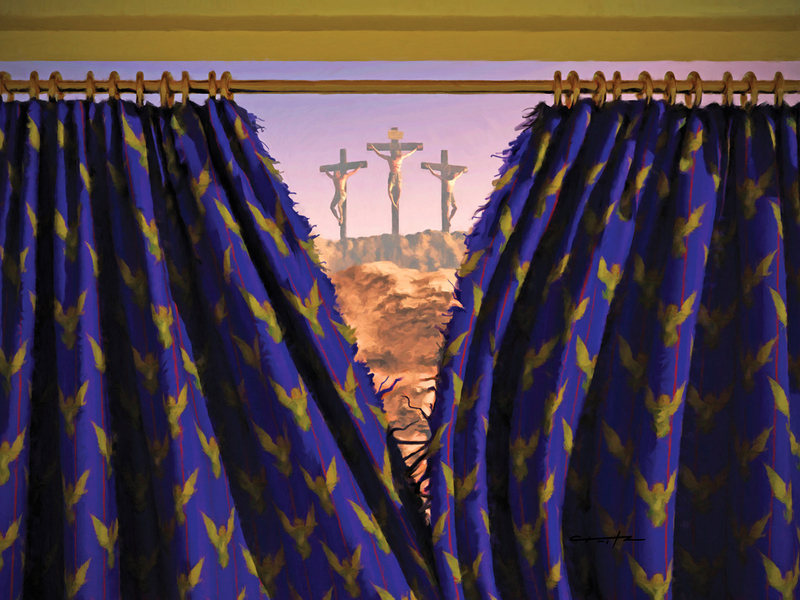 In fact, Jesus had such trust in John that what favor did He ask of him while dying upon the cross? He asked him to take care of His mother. That’s who the author of this Gospel was and how the Lord changed his life. In His divine wisdom, God chose four of Jesus’ disciples to write a biography or Gospel of His life, so that together they would paint a fully rounded portrait of His Son persuading people from every culture under heaven to believe in Him. 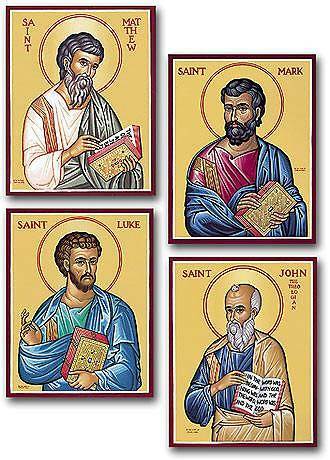 The first three Gospels—Matthew, Mark, and Luke—are often called the Synoptic Gospels. The word “synoptic” means to give a comprehensive view so that the whole picture can be seen in its entirety. That’s why many of the stories and teachings in the first three gospels are repeated. 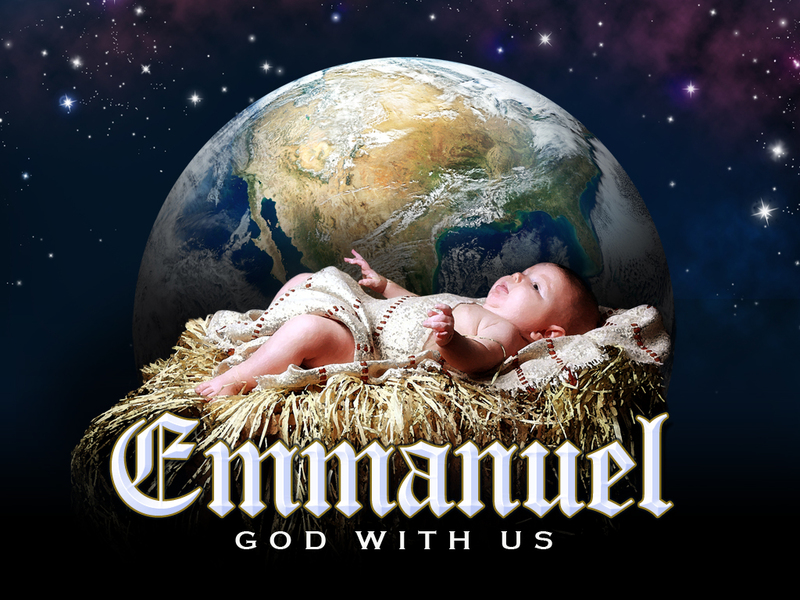 Each of the writers is helping to fill in the details so we get a fully rounded picture of God’s Son. But that isn’t John’s purpose for writing. He repeats very little information from Matthew, Mark, or Luke. For example, he says absolutely nothing about the birth, the genealogy, the baptism, or the temptation of Jesus, because that wasn’t his purpose. He didn’t want to present another earthly narrative of Jesus’ life; he wanted the events of His life to prove His divinity. 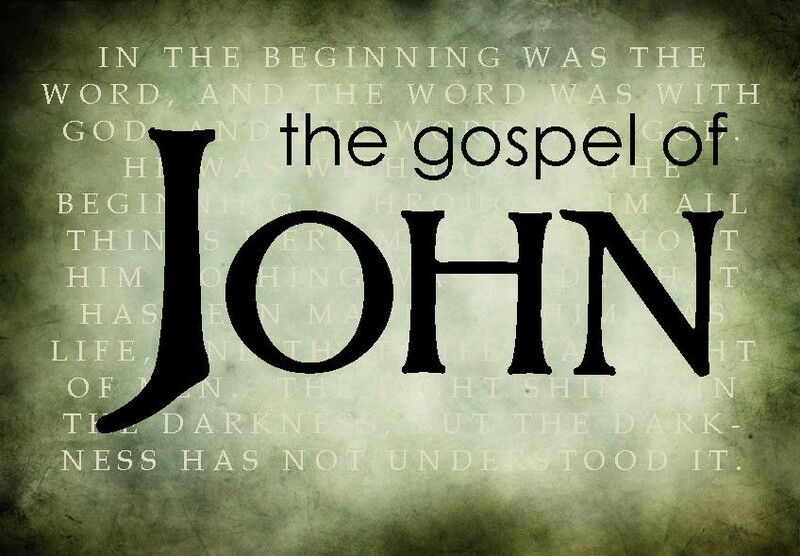 As a result, 90% of what John includes in his Gospel is found nowhere else in Scripture. He devotes, for example, five chapters to Jesus’ parting words to His disciples on the night before His death. He also includes just 8 miracles—water turned to wine, healing a nobleman’s son, curing a paralytic, feeding the 5,000, walking on water, restoring the sight of a man born blind, raising Lazarus from the dead, and the miraculous catch of fish. Each one is included for one purpose and one purpose only—to prove that Jesus is Lord of heaven and earth with all authority given to Him by God the Father. It is also the simplest yet most profound of the Gospels. As a student of Koine Greek, the language in which the New Testament was originally written, I can tell you that John is by far the simplest of all the books to read. However, the truth it presents is so profound it will take the most brilliant scholar among us all of eternity to plumb its depths. J. Sidlow Baxter says of it in his introduction to the Gospel of John, “My pail I’m often dropping deep down into this well; but it’s never touched the bottom however deep it fell; and though I keep on dipping by study, faith, and prayer, I have no power to measure the living water there.” The reason, of course, is because of what it’s attempting to communicate to our finite minds—the infinite and eternal power, majesty, and wisdom of the Son of God whose heart is revealed in this Gospel like no other. 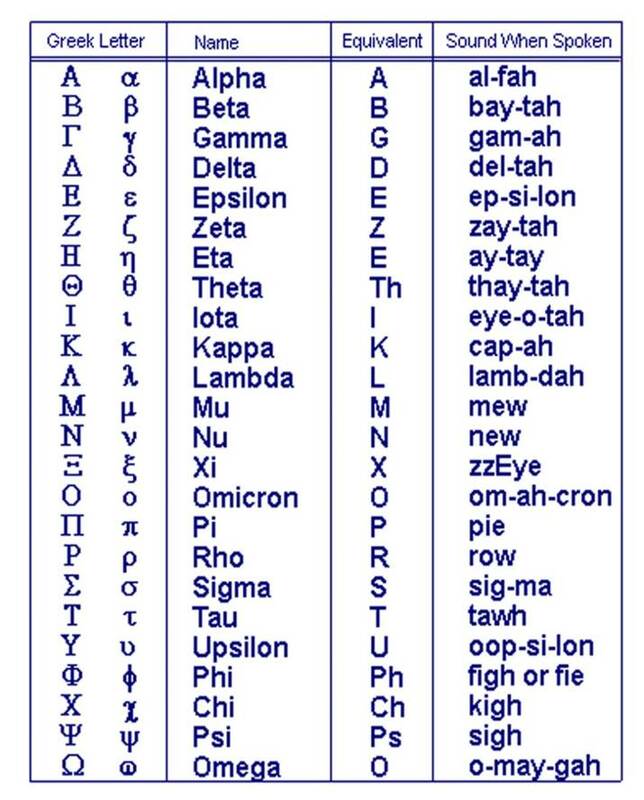 One advantage of the language, because it is so simple, is that it gives us an opportunity to learn a little Greek together. The reason I want to do that is because there are several controversial passages in the book of John which are translated in very different ways by the translators, which means they’re actually interpretations rather than translations. So one of the things we need to do is go behind the English translations at certain points and see what the simple Greek text says. That is also in keeping with what we teach at The Gathering. Instead of relying on the teachings of this or that denomination or organization, the goal is for each of us to develop a truly Biblical theology based on Sola Scriptura—the Bible alone as the authority for all that we do and believe. I will give you an example of that as we come to the final point in our study. The subject of John’s message is found in its very first line. John says, “In the beginning was the Word.” So who or what is that? The Greek word is “Logos,” referring to Jesus the Son of God. 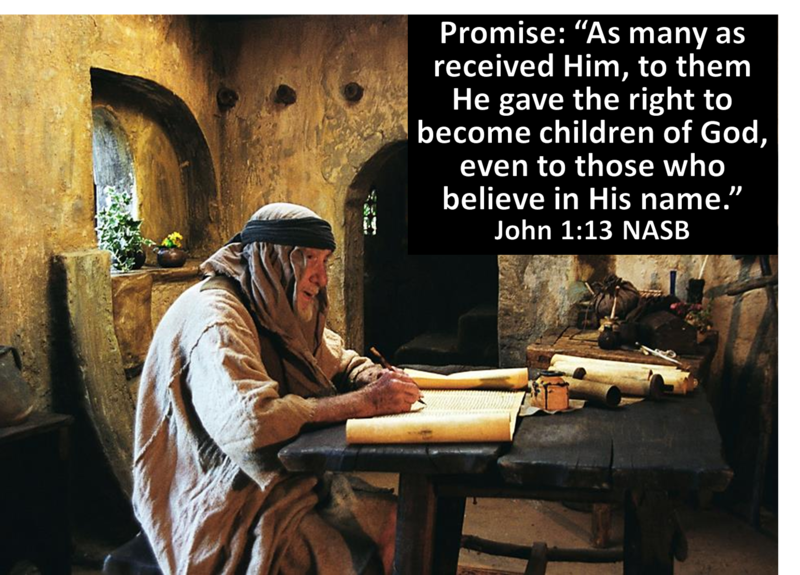 Then why doesn’t John say that from the “get-go?” Two reasons: 1) The Son of God wasn’t given the name Jesus until His birth in Bethlehem when the Angel Gabriel said to his stepfather, Joseph, “You shall call His name Jesus, for He will save His people from their sins.” (Matthew 1:20). 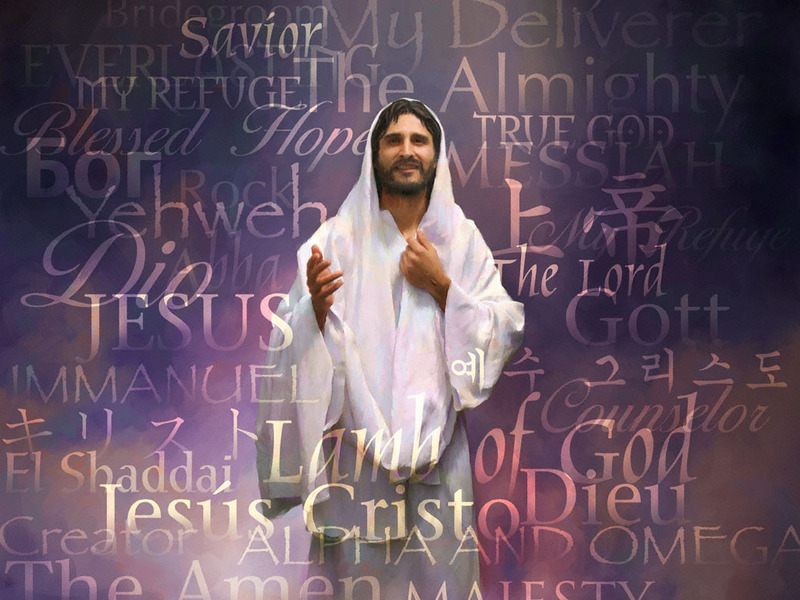 Jesus means “the Lord saves” referring to Jesus’ work as Savior. But that isn’t John’s point here. His point is that the Holy Child born in Bethlehem existed long before the world was made, for He was and is the eternal Son of God. 2) John is building his case, trying to convince his audience of the truth. Every book of the Bible was written with a certain audience in mind, and by now the Jewish people had as a whole rejected the good news of Jesus their Messiah. So John reaches out to those from the Greek culture who were very familiar with the concept of the “Logos,” for in Greek philosophy the Logos was the principle and impersonal power responsible for the structure of the universe. John uses three key words in this Gospel to make his point—“love” which he uses 53 times; “truth” which he uses 57 times; and “believe” which he uses 97 times. His point is this: You can enjoy a love relationship with God the Father by believing the truth about Jesus His Son. In fact, no other writer is as clear about his purpose as John who is very direct and to the point. The key verse of his book is John 20:31 where he says, “These are written that you may believe that Jesus is the Christ, the Son of God, and that believing you may have life in His name.” John wants us to put the same faith in Jesus that we would put in God the Father, and if we do, he promises we will enjoy new life in His name. That would be a strange thing to promise and emphasize unless, as Christians have always claimed, God is a Unity but contained within that Unity are Three Persons who are eternally bound together in a love relationship with One Another, the Second Person of which is the Son who is also God. I don’t understand it, but I believe because that’s what this Gospel teaches—that Jesus and the Father are One, and that just as we believe in the Father, we are to love and honor and believe in Jesus His Son. Now, just to introduce you to a little Greek before we finish, notice with me the first sentence of John’s Gospel, which says this—Ἐν ἀρχῇ ἦν ὁ λόγος (“In the beginning was the Word”). Just five words in the Greek but five words with eternal consequences, because you see that third word—the little word ἦν? 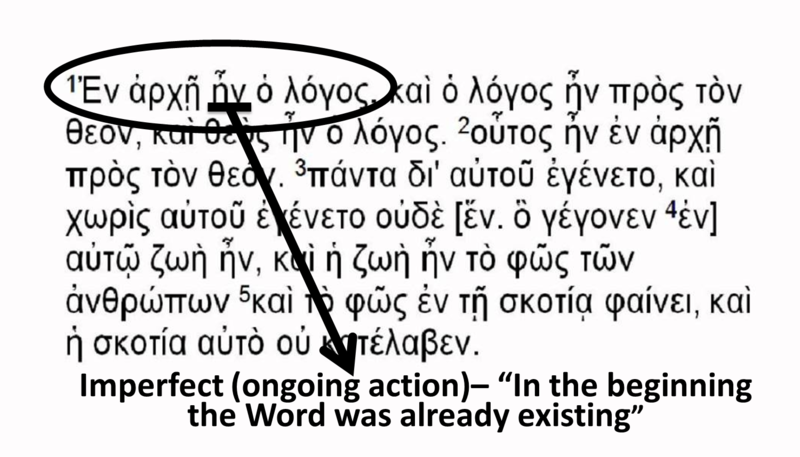 We translate it “was.” But that doesn’t really get at its meaning because it’s in the imperfect tense in Greek describing ongoing action in the past. In other words, what John is saying is that Jesus the Word was already existing with God in the beginning before time and space. You’ll notice the creation doesn’t begin until verse 3, but Jesus already existed before that. So if Christ already existed before time and space began, then what does that say about Him? It means He wasn’t created! He had no beginning. And that He Himself is also God sharing life together with the Father forever. This is more than the human mind can hope to understand. So stop trying. Suspend your disbelief and lay aside every other thought you’ve had about Jesus long enough to re-examine who He is based on Scripture alone. Be intellectually honest reading and rereading these passages until you’re able to believe what the Bible says about Him. That’s my prayer as we study this, the greatest book that has ever been written—that you will believe that Jesus is the Christ, the Son of God, and that believing you may have life in His name. This entry was posted in Uncategorized and tagged Apostle John, John MacArthur, Lord Jesus, miracles of Jesus, Son Jesus. Bookmark the permalink. You are separating the men from the boys when you present Jesus as God. I see it clearly throughtout scripture and I am sure that is the Holy Spirit at work in me. Without the Holy Spirit’s help I would not even desire to know the truth. Two of my favorite passages are: The Word became flesh and dwelt among us and we beheld His glory, the glory of the only begotten of the Father full of grace and truth and Before Abraham was I AM. I also like the response of the crowd when Jesus asks who they are looking for and they tell Him they are looking for Jesus. Then Jesus says, “I AM HE” and the whole crowd falls backward. The Jews knew He was claiming to be God and that is why they picked up rocks to stone Him. 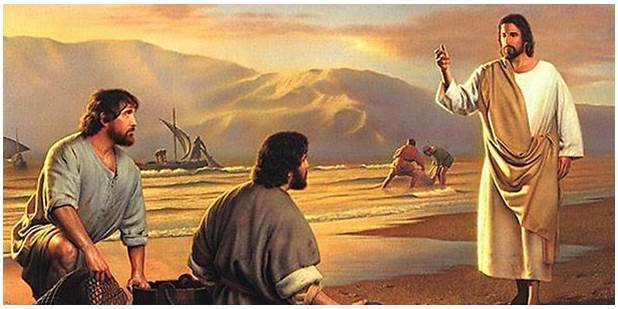 Jesus demonstrated He was God by walking on water, changing water into wine, healing the sick, raising the dead and by His ressurection and ascension. That is why I trust Him as my Savior and my King. He is the King of Glory. He is the King of kings. He is the Lord of lords. The ultimate humility is that Holy God put on flesh and lived with us for awhile. To Him be all glory, honor and praise. Thanks for this incredible teaching. Go with God. See you here, there or in the air friend and brother.